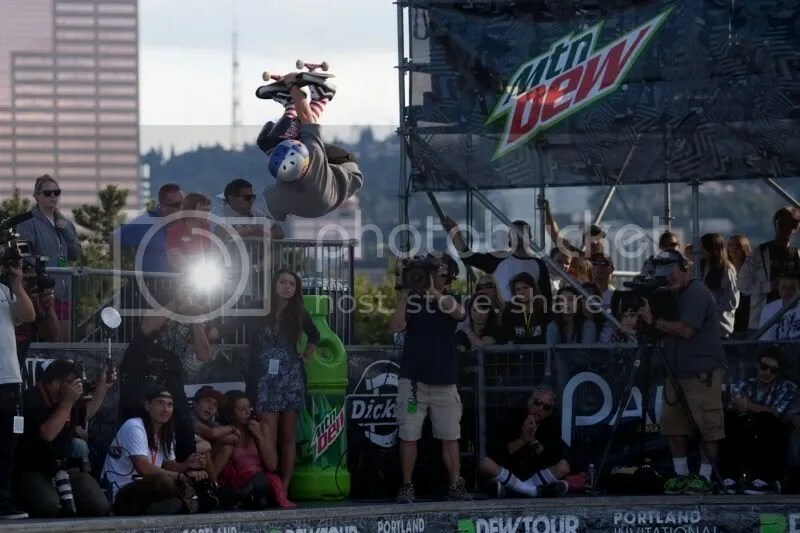 Pedro, Duane, and Kalani headed up to Portland over the weekend for the Portland Invitational. After Kalani’s 9th at Coastal Carnage he jumped into the deep waters of the massive Dew Bowl. Kalani didn’t make the cut, but still ripped the bowl. DP skated with his trademark style. DP. Duane is of course the master of disaster and legendary Punk Rock icon of skateboarding. My memories of Duane are seeing him at Upland combi with his black and red striped Santa Cruz board and leopard dyed hair. Edgers on his Blackhart wheels and absolute critical skating in the heaviest pool of all time. Santa Cruz was also my first sponsor and I remember hanging out with Olson, DP and Salba in awe. I also remember Duane being the top competitor of his time along with his tech rival – Eddie Elguera. Duane was punk, but don’t forget that he has always been an incredible contest skater who went head to head with Eddie: style and attitude against technique and training at numerous events throughout the early 80’s. Duane’s attitude of commitment and emotion shaped mine and many others approach to skateboarding and life. Elguera was awesome too but DP defined passion and the go for broke spirit of skateboarding that made it a lifestyle and not just another sport. The fact that at 50 he skates the way he does blows my mind. Pedro was killing it with high speed lines, huge airs, and big transfers. In the end it was close between him and Bucky, with Bucky just edging Pedro out for the win. This entry was posted on August 15, 2011 by screamininc. It was filed under Uncategorized .